Long before Call of Duty evolved into the biggest name in gaming, Activision’s FPS juggernaut cut its teeth on PC platforms, when earlier installments in the series took place during the throes of World War II. That all changed with the release of Infinity Ward’s groundbreaking Modern Warfare and, with the exception of Treyarch’s World at War, each new entry in the franchise has ventured further and further into the future, introducing drones, robots, and even rocket packs along the way. That all changes with the launch of Call of Duty: WWII. 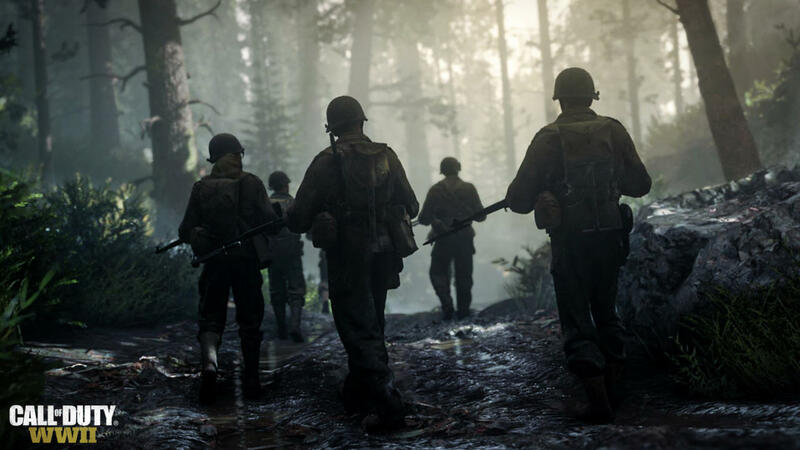 Headed up by Sledgehammer Games, the creative minds behind Advanced Warfare and the canned Fog of War – the latter was a scrapped, third-person COD prototype set against the fiery cauldron of the Vietnam War – Call of Duty: WWII promises a breathtaking experience rooted in one of, if not the most monumental conflicts in human history. 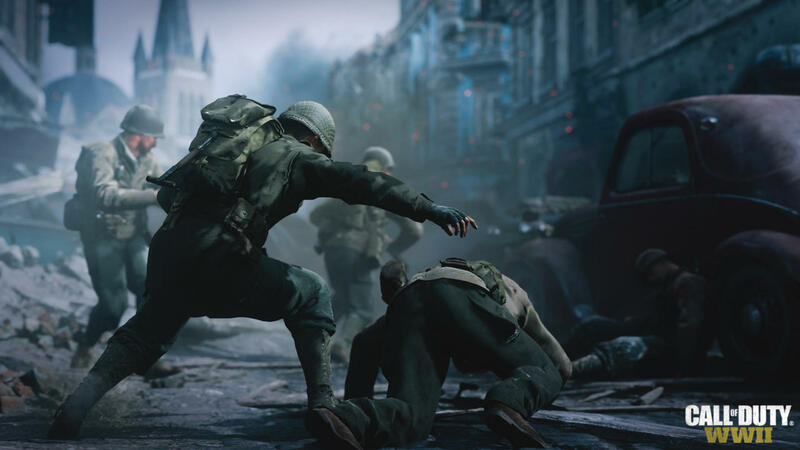 Up above you’ll get a small taste of that intense, visceral action, with WWII set to hop across a series of iconic locations scattered across the globe, including the famous D-Day landings when Allied troops touched down on the beaches of Normandy. 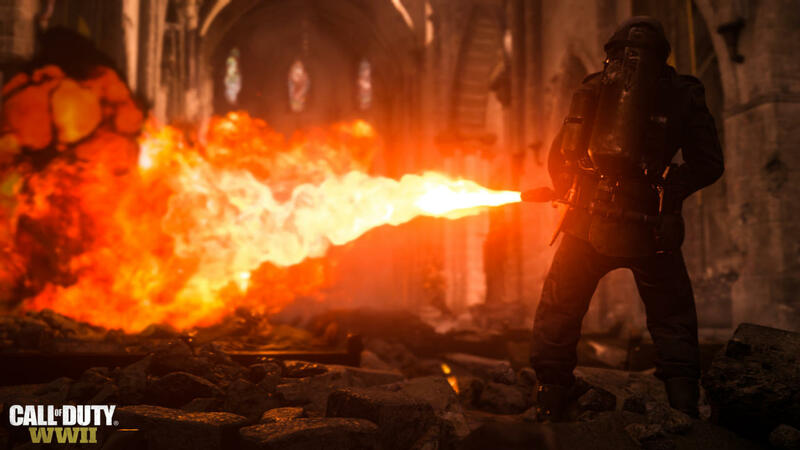 In classic Call of Duty fashion, the footage is brimming with cinematic moments of grandeur, and we understand that the 2017 shooter will take place primarily in Europe between the years 1944 and 1945 – just as the conflict reaches its bloody conclusion, then. And though the single-player campaign took center stage during today’s reveal event, Sledgehammer has been teasing plans for a new cooperative mode (a revamped Zombies mode, perhaps?) along with further refinements and innovations within the multiplayer component. 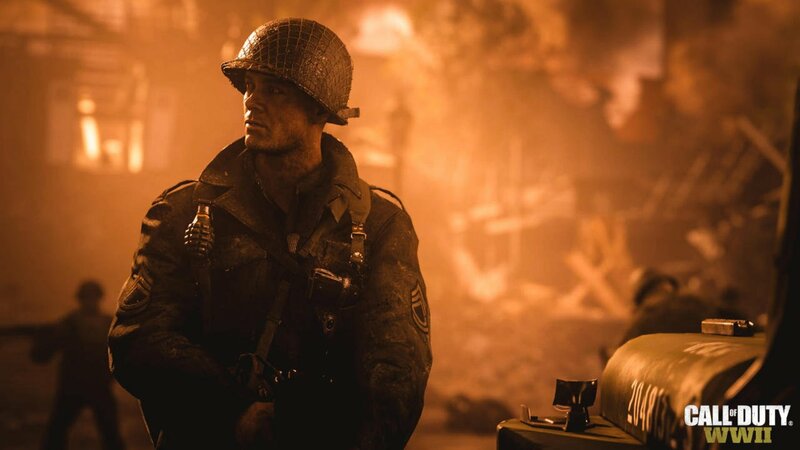 It’s the “right game at the right time,” according to Activision CEO Eric Hirshberg, who outlined the franchise’s staying power in a recent interview with Polygon. There’s no other franchise in any medium that I can think of that’s got an annual release, first of all, also that stayed on top of the charts for this many years in a row. The most important thing is to find a way to strike…the right balance. If the game’s not familiar enough, then it doesn’t deliver on the things that people love about the franchise. And if it’s not fresh enough, they can get bored. And we’ve dealt with both ends of that continuum. But when you get that balance right, I think that’s when you get the best games and the best fan response and the best results overall. I think this is one of those years where it feels like the right game at the right time being made by the right team. 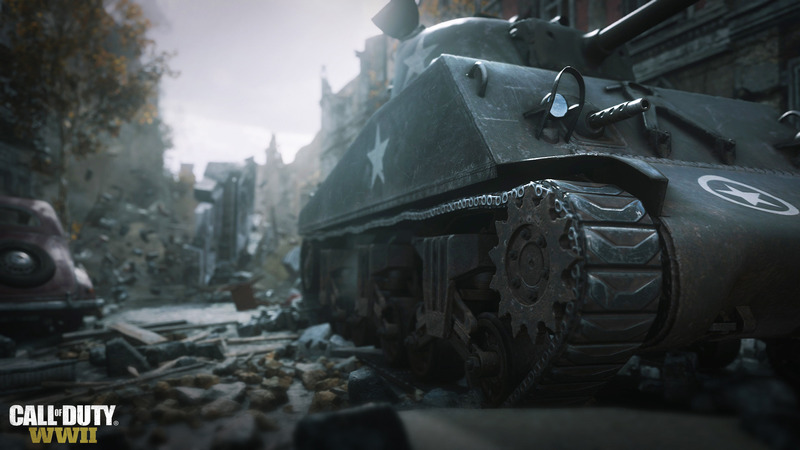 “No mission too difficult; no sacrifice too great.” Call of Duty: WWII will launch worldwide on Friday, November 3rd, and those on PlayStation 4 can look forward to gaining early access to the shooter’s private beta test sometime this summer. Further details on the WWII Pro Edition and Season Pass will be made available via the Call of Duty website shortly after the livestream ends, and we’ll update this post when we have more information for you to peruse.